Marketing and advertising are arguably the two most important factors involved in building your brand and attracting high-end clients. Social media is a fantastic resource, which can potentially allow you to do just that! And because there are so many different social media platforms available, finding the right outlets has never been easier. Without question, Facebook is the most popular social networking site on the planet. 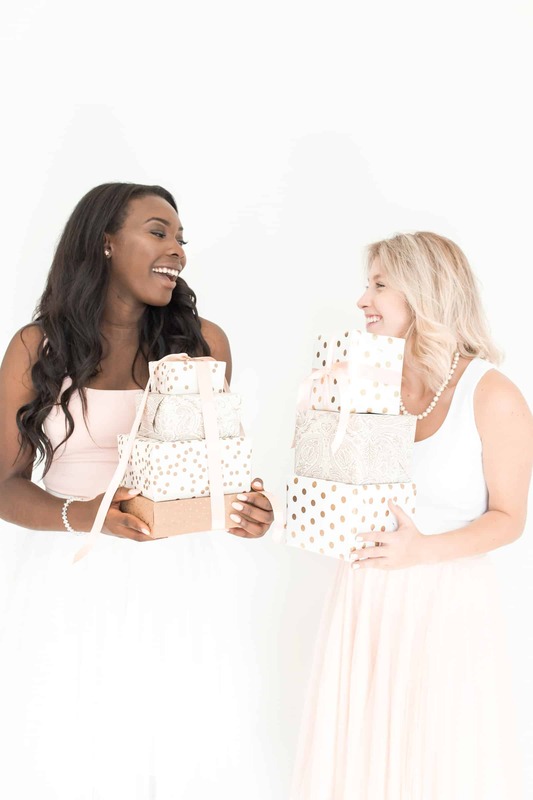 Facebook marketing, if done correctly, will allow you to expand your business and take it to the next level, attracting high-end clients in the process. 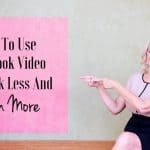 For example, you can perform this simple Facebook hack and attract high-end quality clients on a daily basis. Your competitors’ friends and followers are your ideal clients. Your competitors have done all of the hard work for you! They’ve already found your target audience and have handed them to you on a silver platter, metaphorically speaking, of course. The great news is that you already know that your page, products and services are going to be relevant to them – because they are engaging with your competition. So why not capitalize on this? Befriend them. Begin following them and friending them when appropriate. Start by going onto your competitors’ pages and groups and interacting with their followers. Provide value in your conversations. As you spend time getting to know these people, start engaging via private message and sending friend requests. Yes, this process takes time. However, if done consistently, people will accept your requests. And the more people that accept, the easier it will be to grow your friends list. And from here, you will now have built a sub newsfeed that will consist of potential high-end clients that you deem important for your business. Interaction is the basis behind social media anyways. But in order for you to attract those lucrative clients, you are going to have to be sure to interact with them on a daily basis. You can begin simply by liking their posts, commenting on them, and perhaps interacting with them via their posts. For example, if they’re asking questions, provide them an answer, or point them in the direction of a resource that does. The more you begin interacting with people, the more they will realize that you aren’t just a faceless mega-corporation driven by nothing but greed and money, and they will be more at ease with you. They will interact back, you can strike up conversations, rapport, and build friendships as well. Once they’re at ease with you they will check out your page, which should include everything they need to know about you and your business. With the caveat that you should be posting to your page using the 80/20 rule. Eighty percent should be informational and twenty percent should be about your products and services. To put this into practice, you should set aside 15 minutes a day to interact with your high-end potential client newsfeed. As the list gets larger and time goes on, you will find that some of the people will begin reaching out to you asking for your help in business. And presto, you now have a good solid high-end lead to turn into your client. People love it when someone actually cares and has genuine interest in them. As you can see from this example above, Sally Jo started a private conversation with Jenny offering to help with something and also sharing that they had something in common. These types of interactions are the way that you open up the sales conversation and if handled with care will ultimately lead to a new client. 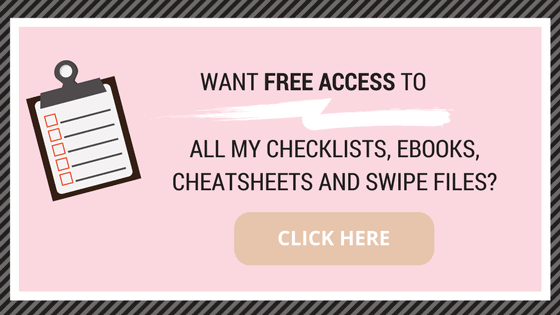 Get access to “Cheatsheet: The Simple Facebook Hack to Attract High End Clients” by joining our Free Resource Library, just click below! The beautiful thing about using this approach is that you can have several conversations going on with multiple people at one time. It works like a charm and you can never run out of prospects. This is how I began building my thriving coaching clientele. Now it’s your turn to use this strategy to build relationships with amazing people and turn them into your clients. Thank you for an informative post. Your hints are “otherworldly” and I like the idea of capitalizing on my competitors’ friends and followers. 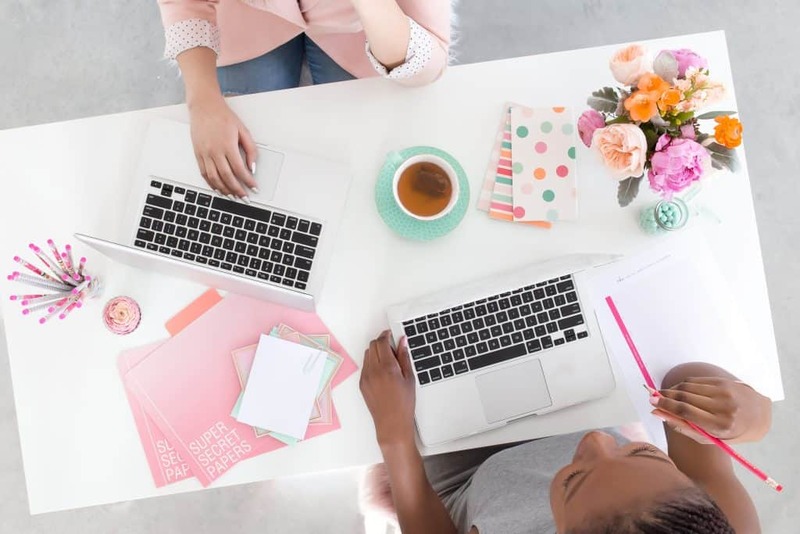 Honestly, I spend over an hour daily trying to analyze my Facebook business page so I can effectively engage my audience; fairly tough for a 9-5 job career woman. Getting ideal clients has not been easy either, but I will try the newsfeed approach and see how things will turn up. Once again, big thumbs up! As a woman who is still learning the tricks of how to be a media-savvy, this post will surely be added to my favorite list of “How to…” articles. I love Facebook social media because it’s not only entertaining but also useful to my online pet’s gift store business. I must admit that I have not been interacting more with my online audience, something that I am really looking forward for once I create the “sub” newsfeed as suggested. I am so glad I found this! After trying so many guides on how to attract high-end clients, I still have not been quite successful. I found your post, but after so many others I thought it would be more of the same. I was pleasantly surprised that it works perfectly! It’s also easy to understand. 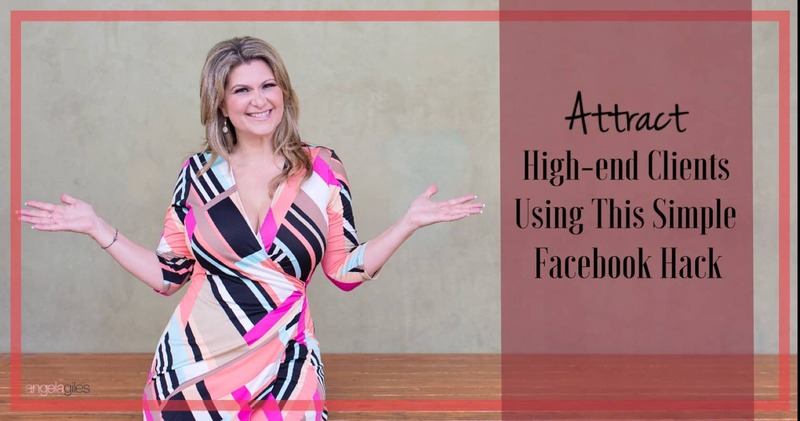 Thanks for sharing this so I too can attract high-end clients using Facebook! Love every part of this post, very eye-opening. 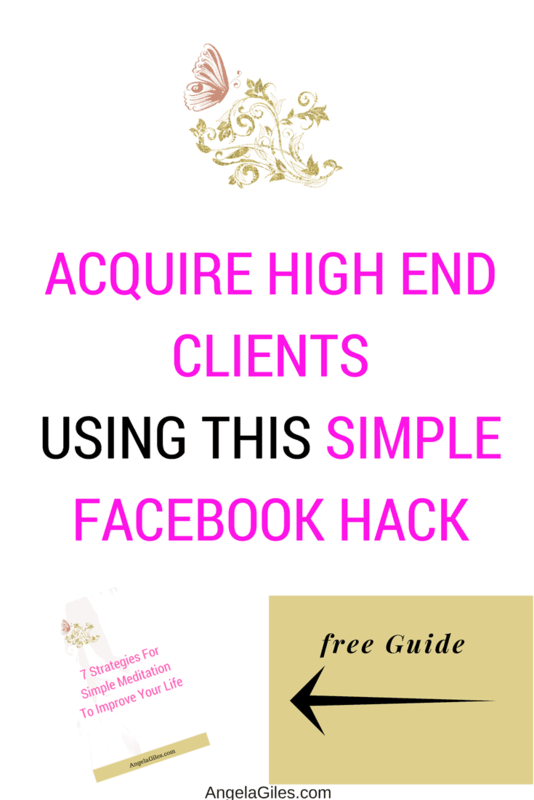 I got captivated when I saw how to attract high end clients using this simple Facebook hack but was skeptical. After following the instructions I’ve started attracting high end clients! You revealed the info needed. I appreciate your efforts and hope you continue the good work! 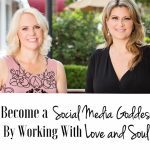 This is a great guide for any woman needing to brush up on using Facebook to get high end clients and learn the ins and outs and feel great. Angela not only talks of how to begin following them and be friends with them when appropriate, she went deeper in making one understand and how to interact. I already feel great about myself. Thanks Angela! Such a great post! Interaction is so, so, so important. If you don’t interact with the people who follow you they’ll either lose interest or unfollow all together, which you definitely don’t want. I had no idea you could create a special “sub newsfeed” so thanks so much for sharing that. I’ll definitely be taking advantage of that now that I know I can do it! Great article on a different type of high end client that I don’t often think of specifically targeting on Facebook! I’d love to see more content relating on how to connect with different segments of your audience. Thanks for the advice Angela! Angela I am loving your posts so far. I must say that I’ve never thought of checking out my competitors clients! What a great idea and the perfect pool of people to reach out to. It’s like they’ve done all the work for me! Attracting high-end clients is as easy as it sounds. Thank you for this very informative post. I totally agree that we have to thank our competitors for the opportunity to meet potential clients from their pages. Using social media is a very enjoyable way to market online. We get the chance to know new people and interact with them while offering products and services that we have. The problem that I encountered is that I have to spend some hours a day just to win potential customers’ interest. Now I know that it should not take me that long, thanks for this well-written article that could give me a new start in social media marketing.